CIOs: The new Focal Point for Innovation? In the new age of technological innovation, enterprise IT has evolved from cost centre to service provider and revenue enabler. The CIO is becoming a key strategic player in a world where business success increasingly depends on rapid adoption and deployment of new technology. But this is not technology for its own sake. Organizations are looking for agility and new capabilities to deliver an outstanding customer experience. A big part of CIOs leading the charge is their ability and authority to articulate clearly how their initiatives are aligned and enabling business. 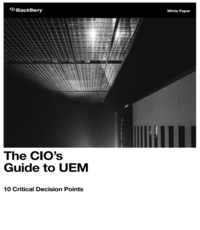 As the new focal point for innovation, CIOs must understand in depth all business drivers, threats, and opportunities, and see all connections in between. 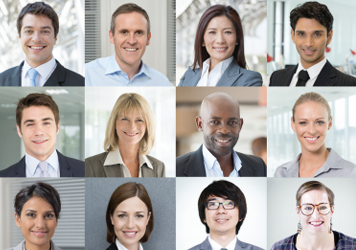 To that end, ITWC has launched its 6th annual CanadianCIO Census to explore all aspects of CIO thought and action — from spending and hiring to the issues that are going to have the deepest impact on business in the coming years. 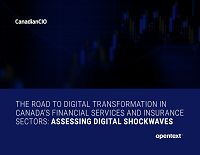 It may take 20 minutes to complete, but it’s the only research of its kind focused on the Canadian CIO. Congratulations to Mark Saunders, CIO, Sun Life Financial and Tara Mulrooney, CTO, Alberta Energy Regulator. They were named as the 2018 CanadianCIOs of the Year Nov. 6 during the Ingenious Awards held in downtown Toronto. With the recognition, the pair becomes the newest members of the CanadianCIO Hall of Fame. Do you know a CIO who is a natural leader, innovator and creative thinker who has a knack for spotting potential and using technology to turn this potential into reality? This is your annual opportunity to recognize and honor their hard work. 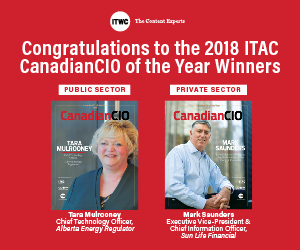 The ITAC CanadianCIO of the Year award is presented to two outstanding CIOs, one from the private sector and a second from the public or non-profit sector. ITWC’s Fawn Annan interviews leading Canadian tech executives on leadership – while competing in a game of darts. 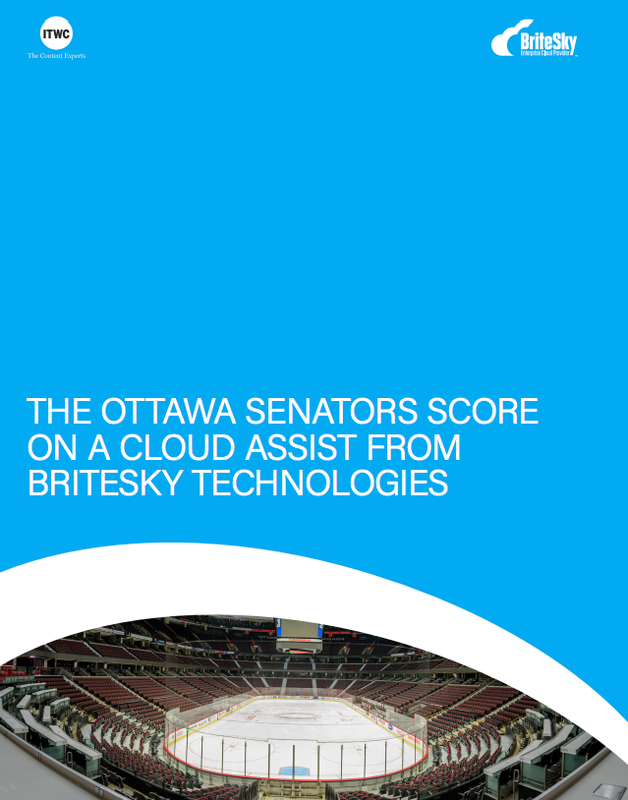 Empowered content on any device. CanadianCIO adds a new focus on executive content. 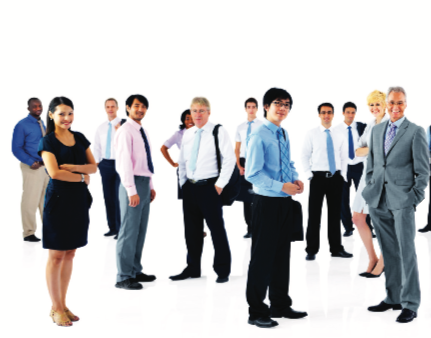 Increasingly, technology leadership requires new skills within the area of strategic sourcing. This new editorial focus will raise the bar on such discussions and bring our audience the real information that they need to succeed facing the new challenges of our industry. The 2019 CanadianCIO Summit will take place in December 2019. Further details will be provided in the near future. 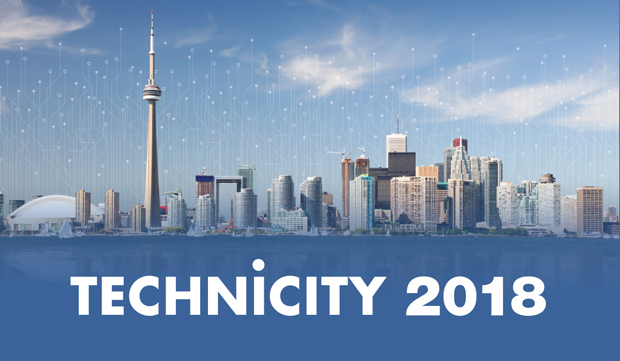 The CanadianCIO Innovation Summit is the perfect opportunity to have deep conversations about the important technology issue impacting organizations in a friendly and relaxed atmosphere. Held away from the day-to-day grind of keeping the lights on, the annual Summit presents CIOs from a cross-section of industries unexpected moments to connect over sumptuous meals or engaging recreation activities. ITWC events draw on our unique community of subscribers to bring together leading professionals for educational, thought-provoking and inspiring events. Why Adopt a Cloud-First Strategy? 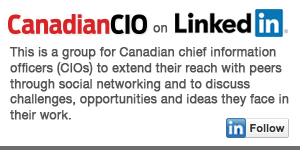 Canadian CIO Who’s Who is dedicated to profiling and celebrating the people and events in Canada’s IT community. We thought one of the best ways to do this was to profile those people who have been featured in our publications and events.